One of the most important features to every bride when planning their special day is the Wedding cake. Different colours, flavours, shapes, designs, patterns, fruit, cake toppers, sizes and layers all make cake selection a time consuming but tasty process. Designer Chair Covers To Go, has been in contact with a few of London’s popular cake companies to see the upcoming trends of the cakes for 2010. 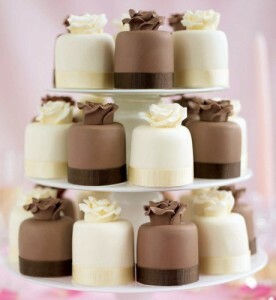 Highly unique and on the rise, ice cream cakes give a wonderful effect to any wedding, often a show stopper when guests find out they are dipping into a lovely ice cream filled cake which can be styled in some of the most elaborate ways imaginable. 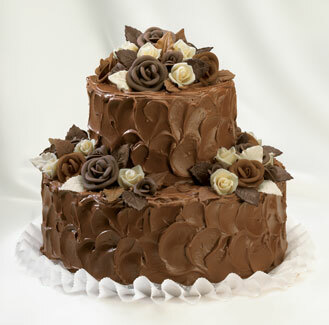 Most commonly kept in the freezer and brought out for photographs and cake cutting, and a delight with guests and children ice cream cakes are a great addition to the catering choices, the melting factor is an issue for most, as it requires the cake to remain hidden away for majority of the day for preservation. 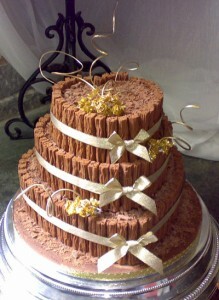 A lot of brides opt for this as a second cake to have alongside a more traditional tiered cake. 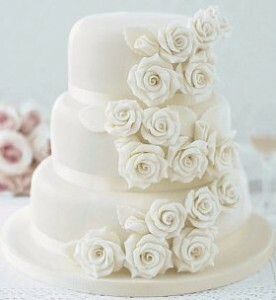 Often fitting to the wedding theme, the traditional wedding cake is tiered by size, matching the theme colours of the wedding. The traditional cake is historically been fruit with cointreau and a rich iced finish. 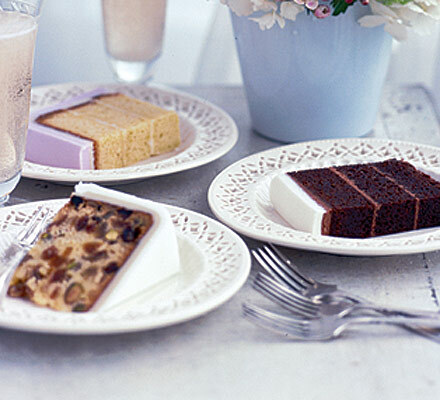 The Cake boutiques we interviewed suggested these traditional cakes are still in the mainstream list for brides, however they are no longer the favourite for most modern weddings. 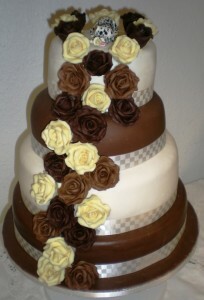 Brides wanting to go with a contemporary wedding settings and themes opted for other cakes and non fruit flavours. 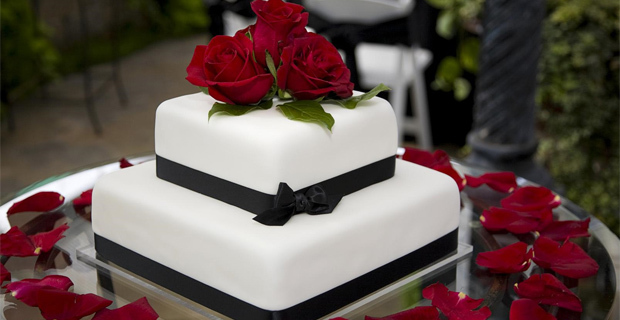 The classic traditional wedding cake is a beautiful choice if you want to stick to the conventional wedding and established customs. One tradition which still today is carried on and used by many brides, is to keep the top tier of the cake for the couple’s first child’s christening. 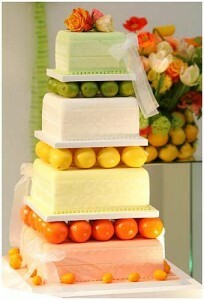 Fruit cake covered in Fondant has a long shelf life and therefore allows the cake to be edible a year or so later. 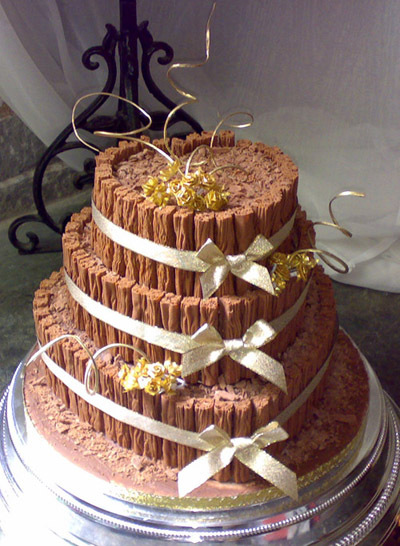 Chocolate cakes are on the rise according to the several cake boutiques we spoke to this past week, Brides enjoy chocolate, in bar form, melted form, drink form and cake form! This is represented in the sales over the past year. Brides are accepting of modern wedding ideas and as the choice of flavours available continue to grow, it can be much simpler and easier to go with a chocolate cake that is guaranteed to taste as good as it looks. It has a lot of advantages, one being its huge appeal to the majority of wedding guests and its price. 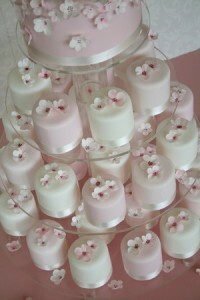 As with all cakes, they are customisable to the finest detail and source of chocolate. 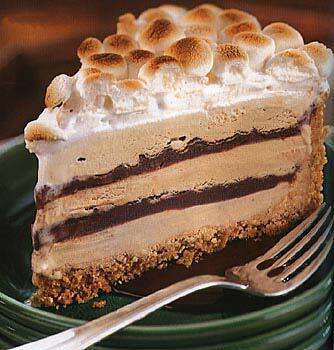 Have a look at a few of the chocolate cakes we found most appetising this past week. Designs of wedding cakes are have become more elaborate and grand, there is no cake that cannot be created, it is possible to have a human size cake made to look like the bride and groom. 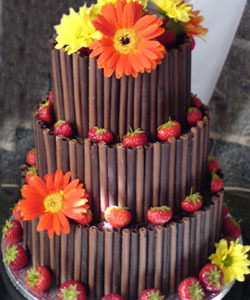 Different colours, personal jokes, chocolate curls cakes, edible image cakes, personalised wedding bride and groom toppers, donut cakes, ice cream cone cakes, fruit cakes are some of the ideas that have been generated. 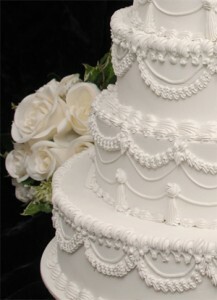 We watched “4 weddings” on Living TV this past week, (a program which follows 4 brides as they experience and rate each other’s wedding to give the “best” wedding bride and groom a holiday) it featured a bride who chose to have a Cinderella theme with a glass slipper on her cake which had been custom made for her size 10 feet. Brides are taking advantage of the options open to them many of the cake boutiques explained and they are adapting everything they can, to make it specific and unique to their own special day. 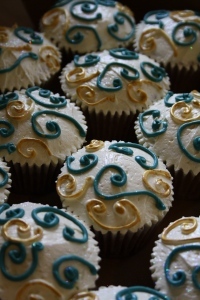 On the rise tenfold, cupcake cakes are fun, beautiful, easy to distribute and serve and amazingly individual. 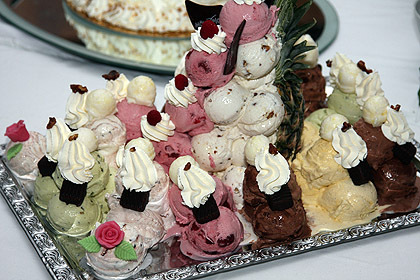 You have the ability to choose several flavours and colours to compliment colour schemes and guest tastes, its great if you are unable to pick one specific flavour, as your able to mix them, having a few of them all. Modern and contemporary with brides around the globe choosing cupcake cakes for their own special day, we have chosen them as our number 1, due to steep rise in the number of sales this year. The boutiques claim the cakes will continue to be popular for a long time to come. 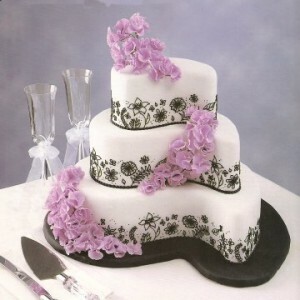 Which ever cake you choose at the end of the day it will be something that’s special to you and your partner. 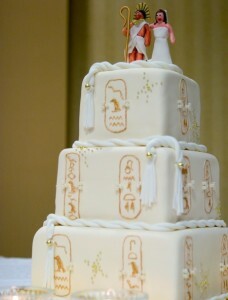 You want your guests to enjoy the cake, but you want memories of the wedding you designed, not your guests! 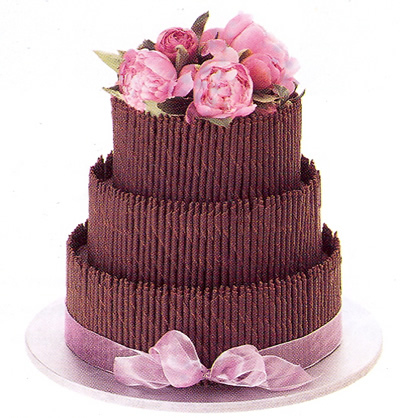 Pick a cake that you want remember, think about some of the traditions attached to the cakes, the colour schemes, photographs, melting points! and the longevity of the cake. It is a hard decision due to the options open to you but it will mean your final choice will be one that is special and unique to you. There is certainly certainly a whole lot to recognise about this. I believe you made some great factors in Characteristics also. Wow what a great countdown, i will have to agree with you- but the life sized wedding is the most stupid thing I’ve ever seen. This was a waste of flour and sugar. Talk about a big ego! and imagine cutting into your own leg ergh! Jennifer Aniston is gorgeous…I still can’t get over her splitting up from Brad Pitt! That is really interesting. It gave me some ideas and I’ll be posting them on my website soon. I’m bookmarking your website and I’ll be back again. Thank you again! I am getting married beginning of 2013 and I am interested o. 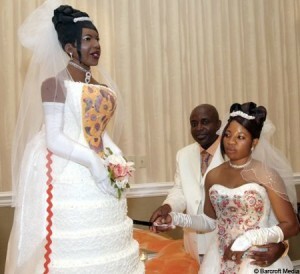 Your lifesize wedding cakes. 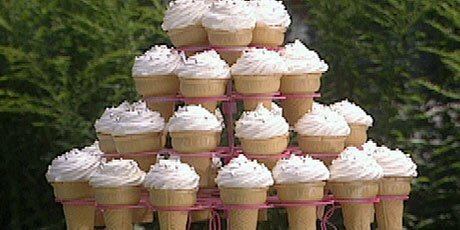 Could you advaice on start price because I really consider having one for my big day. I really luv them all.